Missing the target is no longer an option. The stand-out innovative feature of the X-Bolt SF is the Super Feather Trigger system that gives this rifle a firing quality that feels unbeatable. It also has a new lock-release but ton that lets the user open the bolt and unload with the safety on. The new design imparts better balance and highly functional operation in a more compact rifle, while the floating barrel provides the vital finishing touch needed for flawless accuracy. The bolt-unlocking button works in conjunction with the safety to provide an added degree of safety. The X-Lock scope-mounting system has 4 screws per fixing point. Therefore it is more stable and provides higher accuracy. 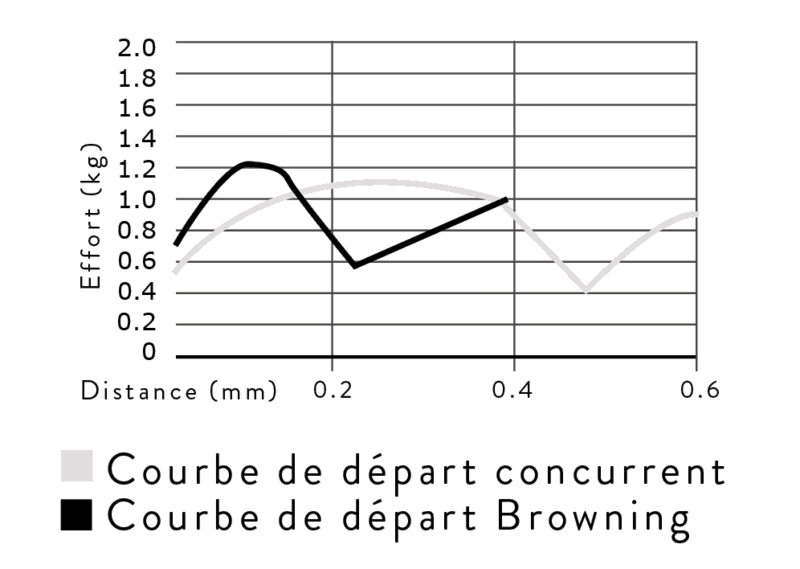 Typical curve trigger shoe movement – load on trigger shoe.